Herbert Blau was featured in the documentary Stage Left: A History of Theater in San Francisco (Rapt Productions, 2011), which focused on the influence of The Actor’s Workshop of San Francisco (which Blau co-founded with Jules Irving in 1952) on subsequent theater in San Francisco. Photos, drawings, programs, articles from/about Professor Blau’s 1957 production of Samuel Beckett’s Waiting for Godot were on exhibit at the 3rd Annual Athens Biennale Monodrome, December 2011, which stressed a “synergy” between artworks of the past and possibilities for cultural action (especially with respect to the Greek crisis today). The Godot production became legendary after its performance in 1957 at San Quentin Prison. It was the first time since Sarah Bernhardt at the turn of the 20th century that a performance had been done at a maximum security prison anywhere in the world and has influenced the development of prison drama since. Academy of the Linguistic Circle (founded by Roman Jacobson) in Prague, Czech Republic, April 2012. Anis Bawarshi was promoted to full professor, Autumn 2011. He was also recently appointed series coeditor (with Charles Bazerman & Mary Jo Reiff) of the Reference Guides to Rhetoric and Composition (Parlor Press). Laura Chrisman, Nancy K. Ketcham Endowed Chair of English, has been awarded a one-year research fellowship, for 2011-12, by the ACLS (American Council of Learned Societies) for her book project Black Transnationalism: The U.S. and South Africa, 1900-1945. Charles LaPorte has published a new book, Victorian Poets and the Changing Bible (U Virginia P, 2011). Colette Moore has published a new book, Quoting Speech in Early English (Cambridge UP, 2011). Chandon Reddy has published a new book, Freedom with Violence (Duke UP, 2011). 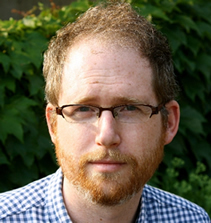 Brian Reed’s manuscript, Phenomenal Reading: Essays on Modern and Contemporary Poetry , has won the 2010 Elizabeth Agee Award for Excellence in American Literary Study. The finished book is forthcoming from University Alabama Press, April 2012. Míċeál Vaughan was promoted to full professor, and his classroom edition of Piers Plowman: The A Version (a successor to UW English Department’s late Professor David Fowler’s edition of the poem from 1952) was published (Johns Hopkins UP, 2011). Jeffrey Todd Knight received his graduate training at Cambridge University (M.Phil. 2007) and Northwestern (Ph.D. 2009), where he specialized in Renaissance literature, textual studies, and the history of the book. He has just finished his first book manuscript, Bound to Read , which argues that Renaissance writing practices were defined by the physical practices of text assembly—binding, compiling, anthology-building—that multiplied and diversified after the introduction of print technology in England and Europe. Knight has published on a range of subjects, including Shakespeare’s early compilers, binding and meaning in George Herbert, invisible ink and the limits of empirical criticism, eighteenth- and nineteenth-century library curatorship, and books used as furniture, with articles appearing in Shakespeare Quarterly , Huntington Library Quarterly , Textual Cultures , Criticism , and Book History . Other research interests include critical theory, the sociology of literature, and the digital humanities.